For people who don’t know who these guys are, they really should check the site out. Not only do they give Prometheus’ plot holes a pretty visceral (yet fair) treatment, they also mock Lucas like nobody’s business! I still can’t get over their long (very long) reviews of the prequel movies and why they sucked. As Stewie said when he learned that Child Services would be taking him away, “Finallllly!” Yes, that’s how I felt when we hopped in the car and were on our way to the theater. And though I am a week late in getting this review done, because last weekend we were diverted to see The Avengers, I think the wait was worth it! The movie was pretty damn cool! The premise of ancient astronauts, which I knew they were employing here, is one I think pretty highly of. And the fact that they were going back to the Alien universe in such a way that they really wanted to capture the feel of the original was also pretty pleasing. And just about everyone I’ve heard speak on the subject has said that the visuals and effects were state of the art. They weren’t wrong. That being said, I think they could have done the whole “Engineers” thing a bit better. In fact, what they had to say about their coming to Earth and what they looked like (which I shan’t get into for fear of spoilers) kind of called to mind how Stargate and AVP tackled the whole “aliens tampered with our history”. Still, Scott is nothing if not a master of crafting worlds and believable settings, so it was by no means in the same category. While I felt it could be better, it was still pretty damn good! 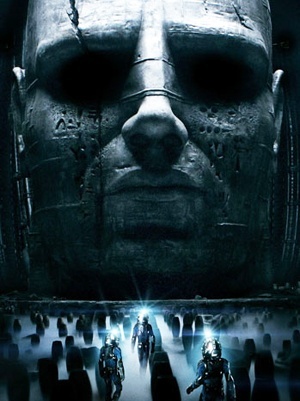 What’s more, this movie also filled in a great deal of details from the Alien franchises back story. Questions like what are the Xenomorphs, where did they come from, do their hosts and environments influence their appearance, why were they found aboard the Space Jockeys (“Engineers”) ship, and just who are the Jockeys anyway? All of these questions were addressed in this film and answered in one way or another. And of course, they left just enough mystery to keep the option open for further explorations in the Alien universe. And I was pretty pleased with how they went about answering them, mainly because I’ve been studying them for some time now and heard quite a few theories. And sure, covering all this stuff did generate a certain “prequel duty” feel here and there, but Scott’s handling of all that seemed far superior to most others efforts. For one, I never really felt like they were wrapping things up in a neat little package, which is an annoying tendency to be found in most prequels. Take the Star Wars prequels, did those not feel like they were simply trying to connect the threads irrespective of plot? Yeah, well that wasn’t the case here. And that, I think, is what is best about this movie. Though it is technically a prequel, Scott and the makers seemed determined that it feel like a standalone story. I recall him saying as much in the course of an interview, and I truly felt like they succeeded. Granted, there were some flaws and some holes here and there, but these were hardly fatal and didn’t leave me thinking, “holy crap, that movie made no sense and was totally pointless and stupid!” Expectations and hopes were certainly high for this film, leading some to come away disappointed. But what can be said about them? Sure, this movie wasn’t Alien, but there’s a reason for that! Scott already made that movie thirty-three years ago, and several directors have since taken the franchise in many different (and some would say wrong) directions. Going back to the before the beginning was the only option left really, reopening the franchise at a point before the original to answer all the tough, enduring questions that have fans have raised over the years. And that was no easy task and I could see beforehand how it would be riddled with potential pitfalls. But in the end, I came away pretty pleased. Not only was this movie pretty good viewing, it was also a faithful return to the Alien universe… Frankly, I’d like to see what they come up with next! 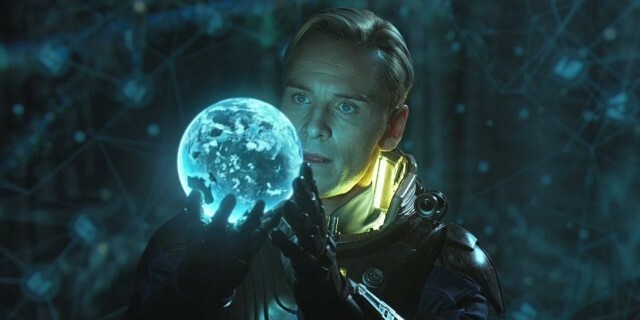 So… here we find ourselves just two days shy of the official release date of the movie Prometheus. And wouldn’t you know it, these people still aren’t finished toying with us yet! Seems they got more trailers, which I just happened to snag! Let’s be honest, sci-fi and Aliens fans everywhere are hungry as hell at this point, and these are just more tiny snacks to tease us with! But what can we do? Any snippets that come out, we gotta gobble em up! So here they are… Bon appetit! The first video is entitled “Quiet Eye”, where an interview camera takes archeologist Dr. Elizabeth Shaw’s statement to Mr. Weyland (head of Weyland Industies). Basically, she is stating why she should be allowed to lead the Prometheus mission and speaks about its potential benefits to the company. You know, Alien-type stuff! Second, there is this clip I dug up over at Verizon’s Facebook page (they are apparently a big sponsor. 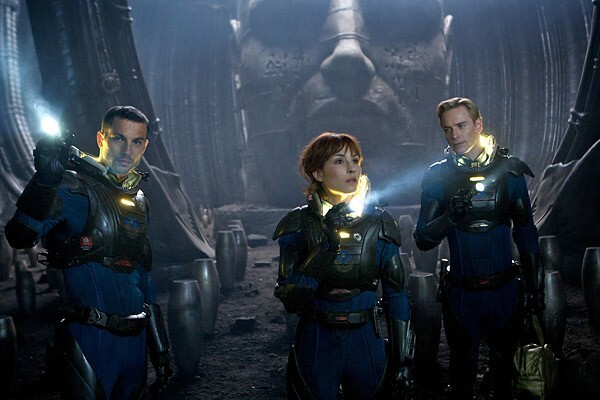 This particular one is an interview with Prometheus’ conceptual artists who talk about the eponymously named ship, its design and layout, and how all of this was intrinsic to setting the tone and feel of the movie. Jeez… When is this damn movie coming out? !